First World War - Wounded. Despatches. 1914-15 Star, British War Medal, Victory Medal. SUPPLEMENT TO THE LONDON GAZETTE, 10 JANUARY, 1916; The Royal Canadian Regiment - Lieut. H. M. Logan to be a temporary Captain:- Dated 2nd November, 1915. SUPPLEMENT TO THE LONDON GAZETTE, 12 JANUARY, 1918; Nova Scotia Regt. - Temp. Captain H. M. Logan relinquishes the actg. 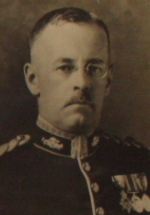 rank of Maj. 16 Nov. 1917. D.M.I.O. and I. of C.S., M.D. 6, 1922. 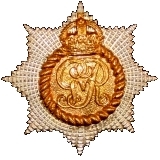 1 Oct 1928; Ceases to be seconded and reverts to regimental duty, posted to "D" Company, St John's P.Q. 15 Sep 1929; To be Brevet Major. 1 May 1930; D.A.A. & Q.M.G., M.D. 6. 1 Sep 1932; Transfered from Halifax, N.S., to the Royal Military College, Kingston, Ont., to be employed as Staff Adj. R.M.C. 14 May 1935; To be Major. 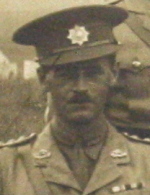 Major H.M. Logan took over command of "A" Company, Halifax Station, The R.C.R., from Captain G.L. Foster, 16 Sep 1938. LOGAN, Maj. Heber Meredith; Canadian military service; b Kentville, N.S., 29 Api 1891; s Rev. A. Pemberton and Fana, Elizabeth, L.; e Halifax Acad. ; Dalhousie Univ. ; Roy. Mil. Coll., Kingston, Ont. (ops. long course); m Olive Stockdale d C. b. Tucker, Somerset, Bermuda, 18 Mar. 1918, children Dorothy, Ian, Monica. 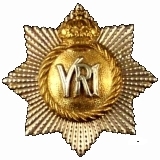 STAFF ADJUTANT, ROYAL MILITARY COLLEGE, OF CANADA, since 1932; lieut, Roy. Candn. 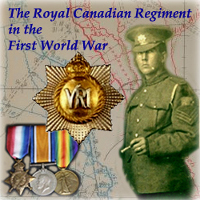 Regt., 1913 and served with that unit throughout World War; has held various staff appointments, including D.A.A. and Q.M.G., at Halifax, N.S. ; mem., N.S. Hist. Soc. ; holds 1914-15 Star; general service and victory medals; awarded King's Jubilee Medal, 1935; has written many articles on hist. subjects for the Journal of the Roy. Un. Service Inst; The Army Quarterly, and The Nat. Review; Anglican; recreations reading, tennis, badminton; Address Kingston, Ont. In memory of Lieutenant Colonel HEBER MEREDITH LOGAN who died on November 15, 1944. Age: 53. Unit: Royal Canadian Regiment. Cemetery: HALIFAX MEMORIAL, Nova Scotia, Canada. Grave Reference: Panel 16. Location: The HALIFAX MEMORIAL in Nova Scotia's capital, erected in Point Pleasant Park, is one of the few tangible reminders of the men who died at sea.